Let’s be honest for a minute. I love dessert. Growing up as a kid my mother was always baking pies and cookies, cakes and pastries. Even to this day when friends or family are around there is a dessert buffet. She makes everything from scratch and whips it up in such a hurry that you would think making pie is as easy as brushing your teeth. It breaks my heart going back home and not being able to eat those classic flavors of my youth. I have been doing the whole “gluten free” thing for a while in hopes to clear up my Psoriasis, a naturopathic doctor told me to avoid eggs, and corn is out of the question unless I want to feel like a dog with fleas. So let’s just sum it up folks: Making baked desserts can be a real you-know-what! Gluten free baking without eggs and cornmeal leads to some real tasty bricks. I will never forget the “hamburger buns” I made a few summers ago. I think most folks who go GF have tasted some pretty awful things in the name of bread. There are a few egg free Paleo recipes I have tried that are mostly coconut butter and coconut flour but they never seem to set up right. So I have stuck with raw desserts to curb my sugar cravings. There are a ton of amazing recipes put out by the Fragrant Vanilla Cake, who makes some incredible looking desserts. I made her Sweet Potato Pies a few times and they never disappoint, but now that I am full AIP nuts are out of the question. So when I want my house to smell all buttery and settle down to a yummy baked treat that was quick to make… What recipe is a woman to use? 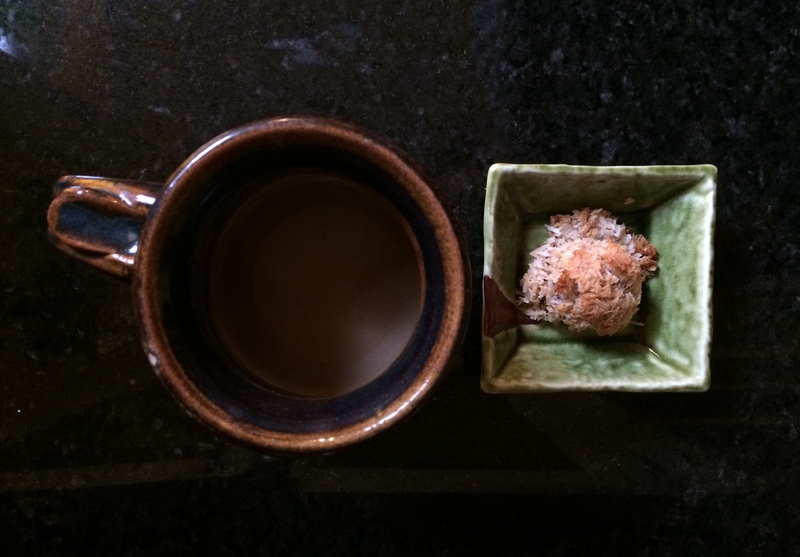 Thankfully the lovely lady Kelly at A Girl Worth Saving posted a recipe round-up that lead me to these super easy, very delicious coconut macaroons. I have made them twice, just to be sure they were as good the second time and by golly they were! First you start off by melting some coconut butter with maple syrup and adding cinnamon and a sprinkle of sea salt. The recipe called for ground cloves but I only had whole and didn’t want to take the time to grind it up. I am sure the clove would be a lovely addition, but I don’t have any problem eating them without! The original recipe also makes about 4 dozen which is a dangerous amount of cookies for me to be around so I cut the recipe in half. Ahhh, look how well-loved this baking sheet is and the non stick liner! I love this liner! I hate to throw away parchment and aluminum foil all the time, so this has come in handy and has held up really well. I usually wash it, dry it then store it on the baking sheet for the next project. I use a little cookie scoop packed well to form the cookies. They are delicate at this point and the “dough” is rather crumbly so you may need to gently squish it together on the pan, but don’t worry once they bake and cool they hold up. I haven’t even baked them and already with the warmed maple syrup and coconut butter they smell like brown butter! The aromatic cinnamon is so comforting. Once they get into the oven they fill the house with that all too familiar smell. It is wonderful! 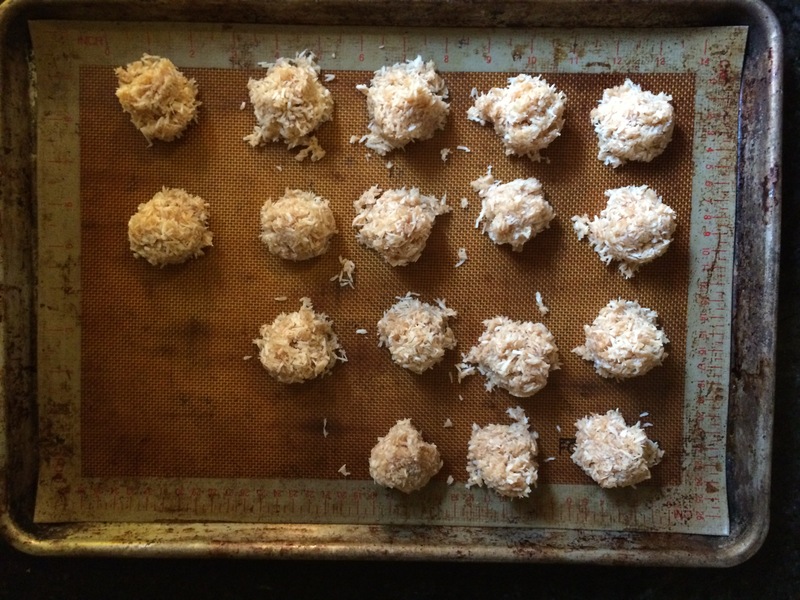 I use a gas stove and find that it loves to toast coconut up in a hurry so I usually dropped the recipe temp 5 to 10 degrees depending on the baking time. And I usually set the timer for 2 – 4 minutes less and check them. I am not sure if these tips will help you, but in my experiences of Paleo baking this has been the case. 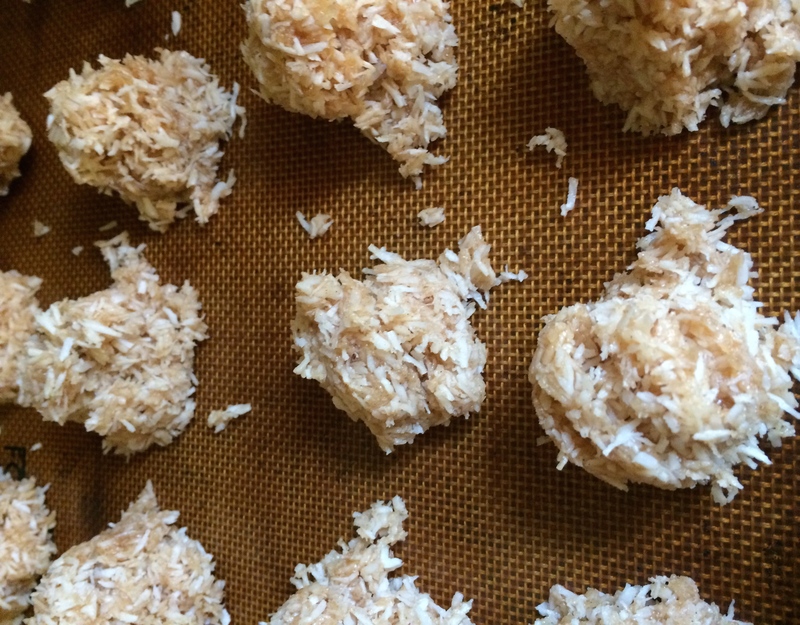 These macaroons are done in 12 minutes. Heaven must serve macaroons, these macaroons to be exact. They are the perfect treat to reward yourself for eating well and living clean! I ate one along side a cup of my Quick Hot Carob and felt like the Queen of the Universe. 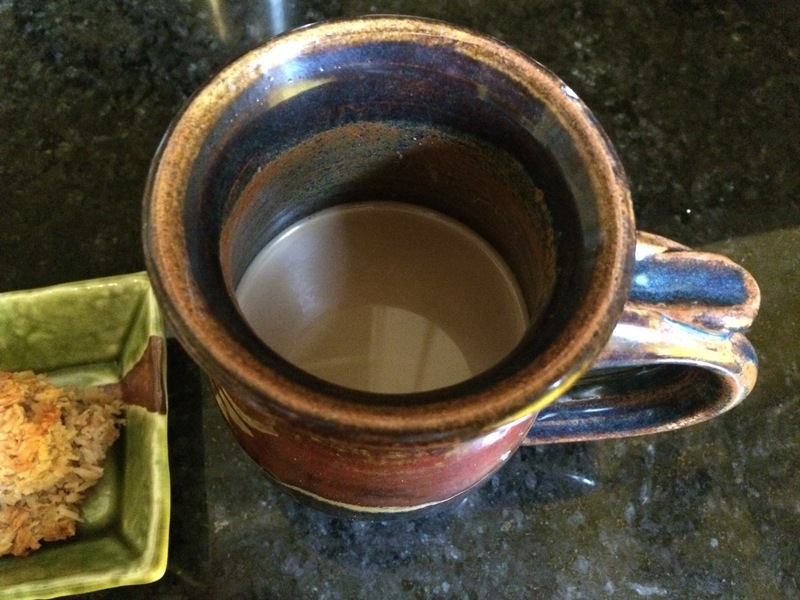 Find the recipe here and start Enjoying This Journey of healing with me! Bring the coconut milk and water to a gentle simmer in a pot. 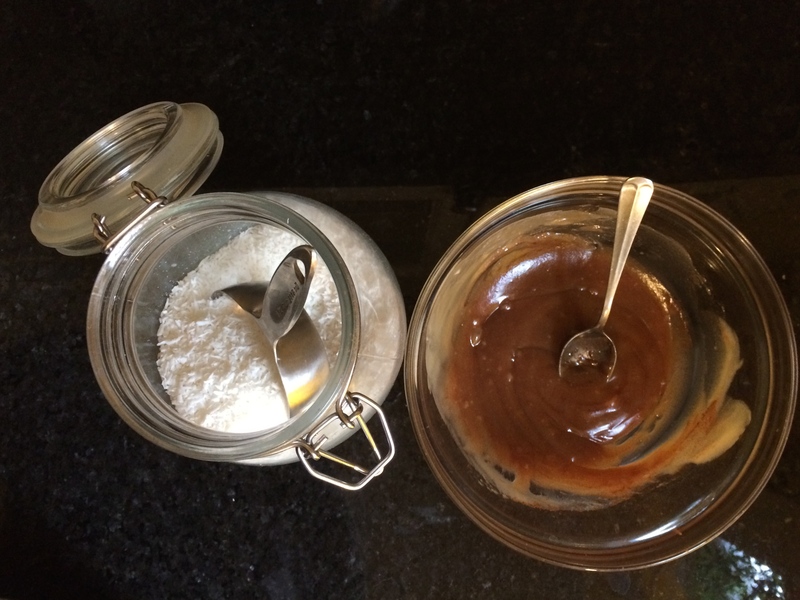 Once heated through, remove from heat and whisk in your carob and sweetener. While carob has good nutritional value it also has a high sugar content so I definitely consider this a reward! They are wonderful, thanks for sharing your recipe!